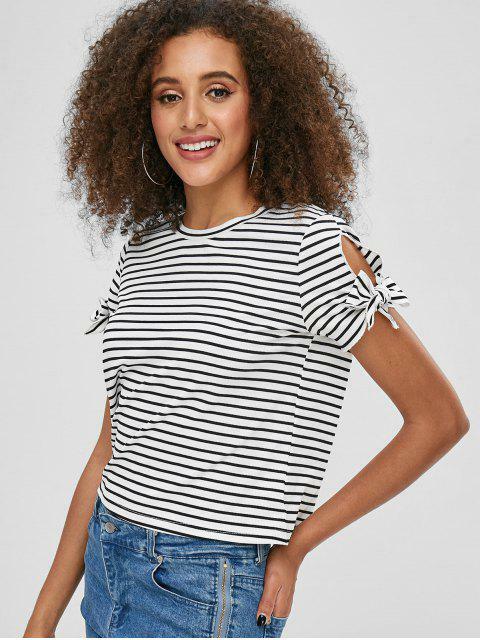 [17% OFF] 2019 ZAFUL Tied Sleeve Striped Tee In WHITE | ZAFUL .. 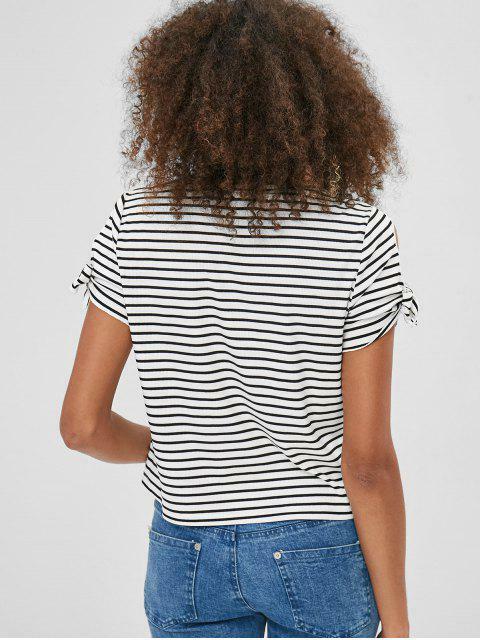 When stripe meets simple tees, can't you resist the tempt? 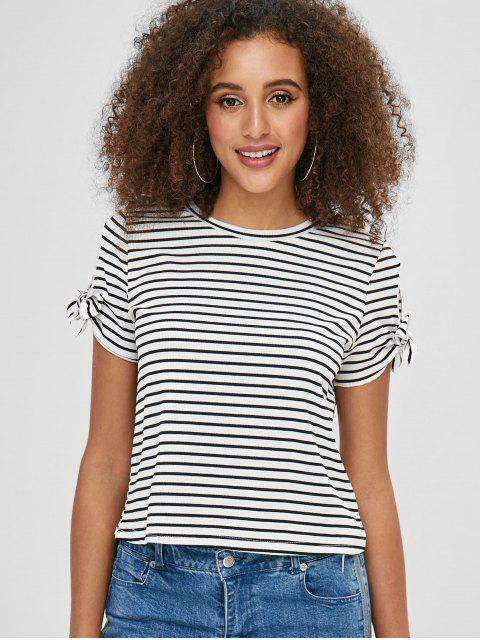 Featuring allover striped pattern, the top has short sleeves with adorable knot details and a classic round collar. Easy to pair it with leggings or jeans for a stylish look.